I guess people love an easy salmon recipe. 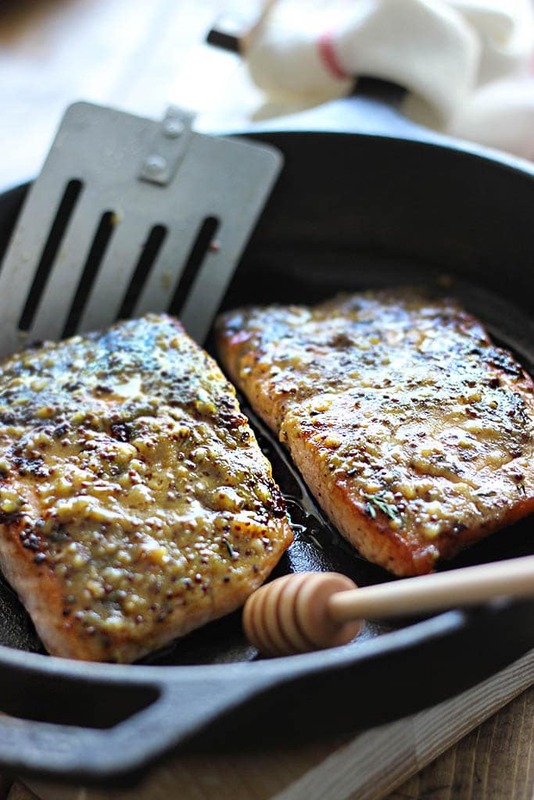 My honey garlic salmon does really well and I can’t figure out if it’s the five ingredient ease of it, or if it’s because people just love salmon. Or maybe it’s the honey garlic sauce. It could be all three. 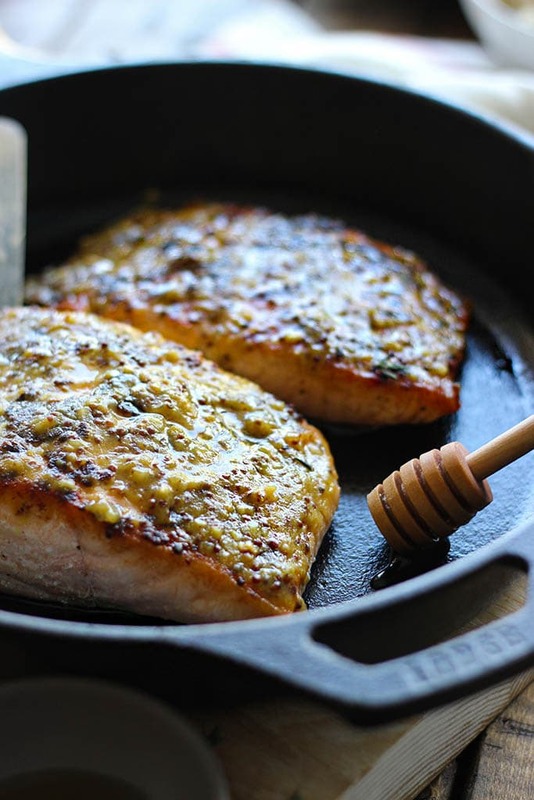 So in the interest in being fair and assuming people like five ingredient recipes and salmon, since I posted honey mustard chicken awhile back (which was so, so very delicious by the way. I stole all the skins), today I’m making the salmon version. This seafood version also only has you guessed it: one, two, three, four, five ingredients. 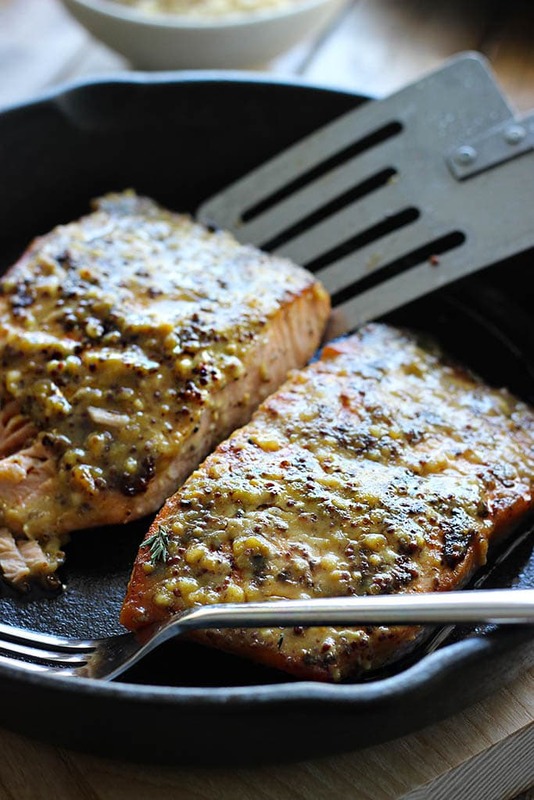 Salmon, mustard, whole grain mustard, honey and garlic. Easy, huh? 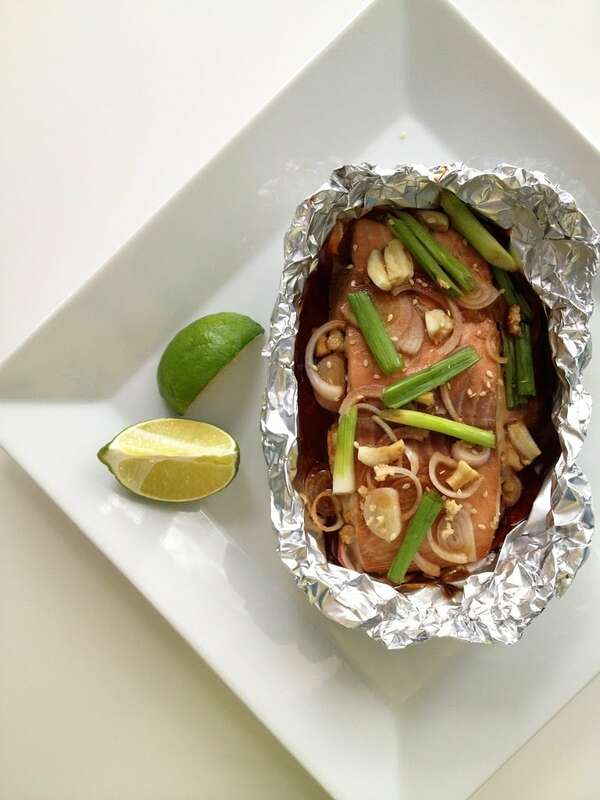 If you’re interested in the honey garlic series, I have a crispy version, a seared and baked thigh version, a salmon version, a slow cooker version and an Asian-inspired roast version. It’s been a fun series!!! More to come. 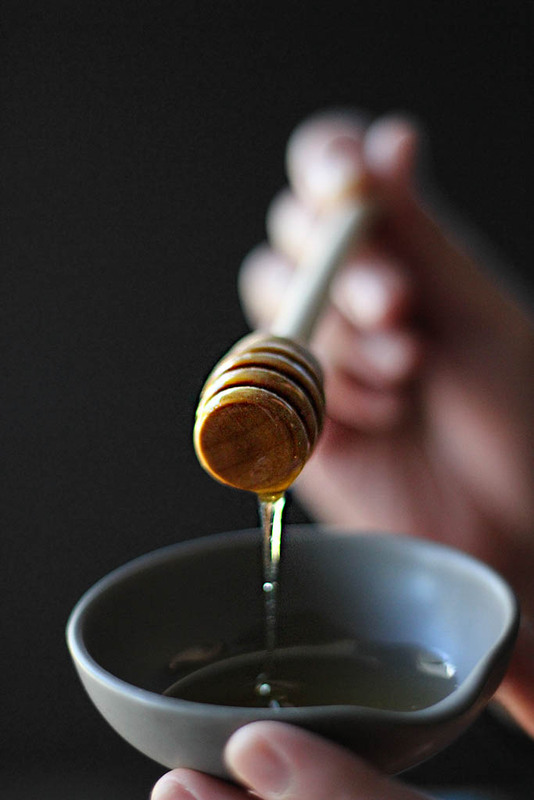 Meanwhile, since I seem to love honey combo anything, here’s a pic for you of glorious runny honey. 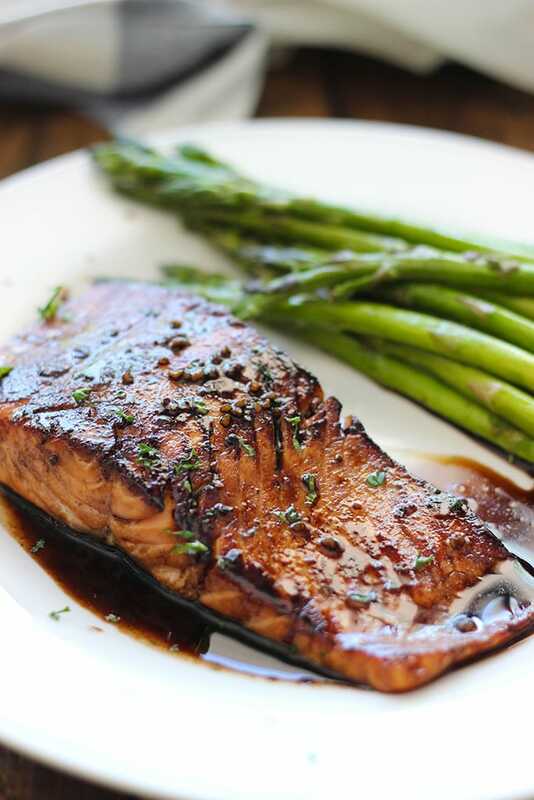 Back to the recipe, the trick with salmon is deciding if you want a crispy, crusty seared top or not before baking. And then knowing how long to bake based on how thick your fillet is. 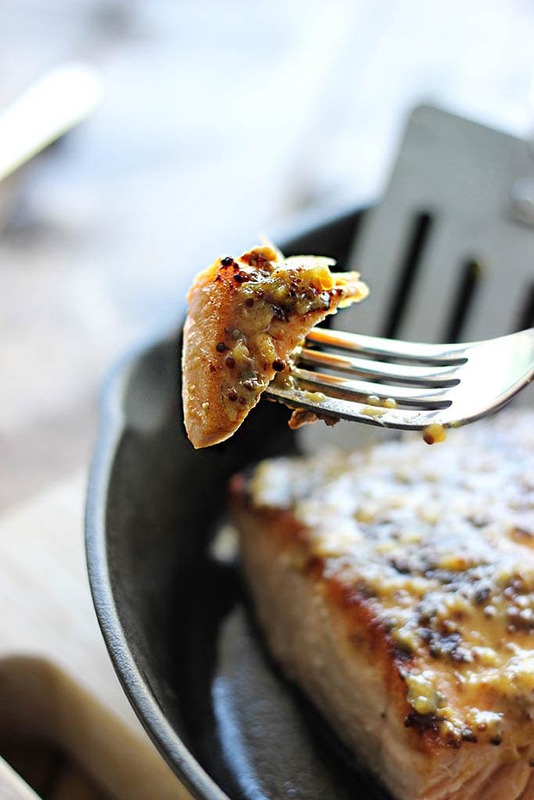 If you like the seared tops, just pan-fry the top of the salmon once it’s been generously covered in whole grain mustard to caramelize it a little before baking. One to two minutes should be enough time. 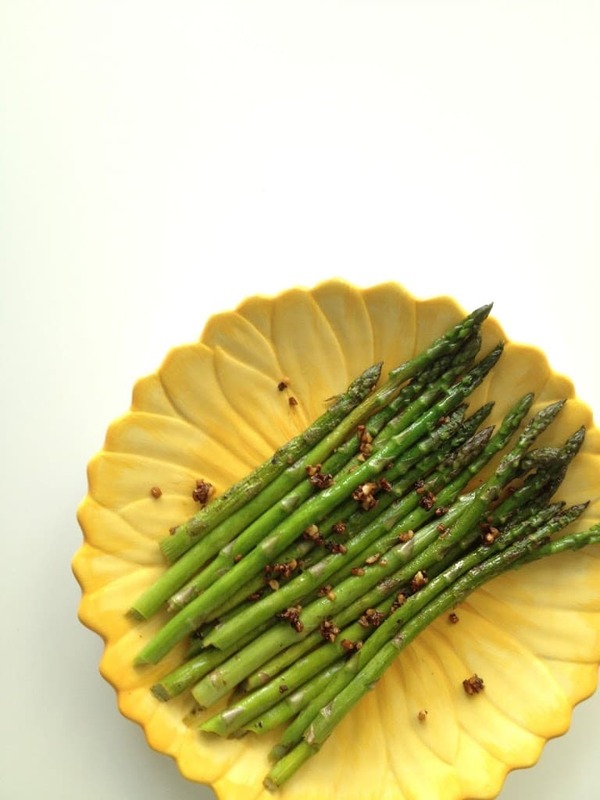 If you don’t want any sort of oil involved to stay healthy, skip the searing! Then it’s baking. The rule of thumb is to cook for about 10 minutes per inch of thickness which is measured from the salmon fillet’s thickest point. That would be the middle. There’s really not much else to say about this recipe. 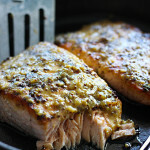 Combine the sauce ingredients, baste it on the salmon tops or seared part and bake, bake, bake! My fillets were about an inch thick, so I did about 10 minutes. A good way to tell if you’ve overcooked it is to watch for the weird white stuff that forms on the sides. Too much white stuff = overcooked! Also for presentation, I did two pounds of salmon fillets, so it scales well too. And that’s all there is to it. 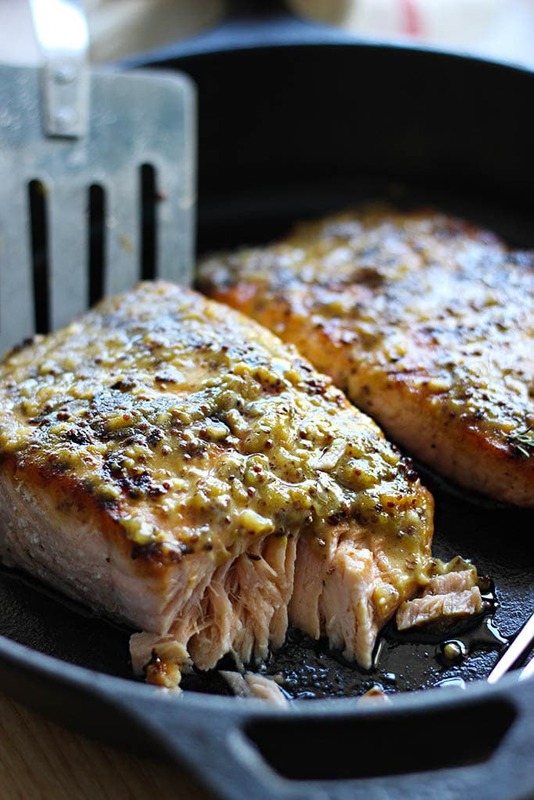 Enjoy this salmon recipe! I just want to confirm that you are searing the skin (top side) of the salmon correct? and then placing it on the baking pan skin side down. It sounds delicious! I am also going to try the chicken recipe. Heya Debbie! I’m searing the top of the salmon. Usually, the skin (if it has skin, some don’t) is considered the bottom part of the salmon and the skinless part is the top. So I seared the top part for the crispness, which means skin side will be facing up at this stage. Then flip it over in the oven with skin side down and the seared part facing up. Hope this helps!